The study estimated the accuracy of the Framingham and Reynolds risk scores, two tools commonly used by physicians for assessing patients’ heart disease danger. The scientists found that these two assessment tools substantially underrated cardiovascular disease danger both in women and men suffering from rheumatoid arthritis. In particular, that happens in older patients. Interestingly enough, it also happens in people who test positive for rheumatoid factors. Regarding the elevated risk of heart disease, it is inflammation being in the centre stage, playing a key role in putting RA patients in greater jeopardy for heart disease. Unfortunately, commonly used cardiovascular disease risk assessment methods do not factor it in, the Mayo Clinic rheumatologists Cynthia S. Crowson, Eric L. Matteson, Veronique L. Roger, Terry M. Therneau, and Sherine E. Gabriel described in the paper. They state that more work is needed to figure out what drives both inflammation and heart disease in rheumatoid arthritis patients. “We need more accurate tools to assess that cardiovascular risk,” they sum their results up. Rheumatoid arthritis affects more than just the joints! To call to mind: In RA, the immune system attacks tissues, causing inflammation of the joints. But it can also affect other parts of the body. It is an accepted fact that rheumatoid arthritis patients have a higher risk of early death compared to the general population. Previous research suggests that cardiovascular disease, or CV disease for short, is the main reason. Among those individuals studied were 525 patients over 30 years who were diagnosed with RA between 1988 and 2007. All patients fulfilled the 1987 ACR criteria for rheumatoid arthritis, and neither of them had a previous history of heart disease events. Eric Matteson, M.D., chairman of Mayo Clinic’s rheumatology division. For their study the researchers evaluated medical records from the National Institutes of Health-funded Rochester Epidemiology Project in the USA, whose resources make Olmsted County, Minnesota, one of the few places in the world where researchers can examine medical data on virtually everyone in a defined geographic population to find the true frequency of certain conditions and the success of treatments. The patients’ 10-year risk of developing cardiovascular disease was measured using the mentioned Framingham and Reynolds risk scores, and the mean follow-up period was 8.4 years. During that time, 84 patients developed cardiovascular disease. The observed heart disease risk turned out to be twice as high among women and 65 percent higher in men than the Framingham risk score predicted. And the Reynolds tool had similar shortcomings, the researchers found. 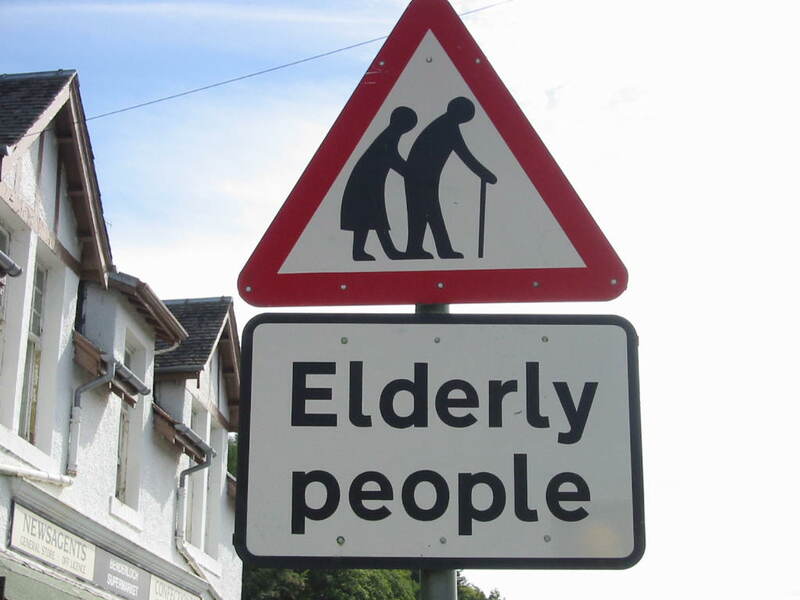 Patients aged 75 and older proved to be three times more at risk than the Framingham score indicated. Notably, patients with positive rheumatoid factor also had more heart disease events than the risk scores predicted. The picture Warning sign. 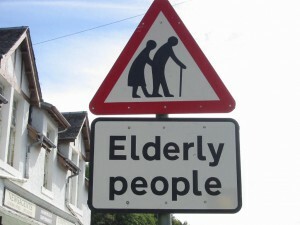 Elderly people crossing. is a stock foto from stock.xchng by Robby Ribeiro. At the annual meeting of the European League Against Rheumatism (EULAR), which takes place in Berlin, Germany, from June 06-09 2012, researchers from the Mayo Clinic reported, that special echocardiograms show promise for early detection of heart disease in rheumatoid arthritis patients. They demonstrated characteristic changes in the strain echocardiograms of arthritis patients that were not detectable in a matched control group of persons without rheumatoid arthritis. Thanks for sharing such a good info. For our rheumatologist team it is really important and we appreciate your work.